A new device that enables HIV testing can be done independentlyHIV self-test device for the first time allowed to be used in England, Scotland, and Wales. This tool allows one to perform the test at home and get results within 15 minutes. In contrast to other devices, the test results do not need to be sent to the laboratory. This tool works by identifying a small drop of blood, which is often only discovered three months after infection. Humanitarian organizations expect these tools will reduce some of the 26,000 people in the UK whose HIV status is unknown. Early diagnosis allows a person deemed get immediate treatment and may prevent serious complications. People who successfully treated deemed less likely to infectious. 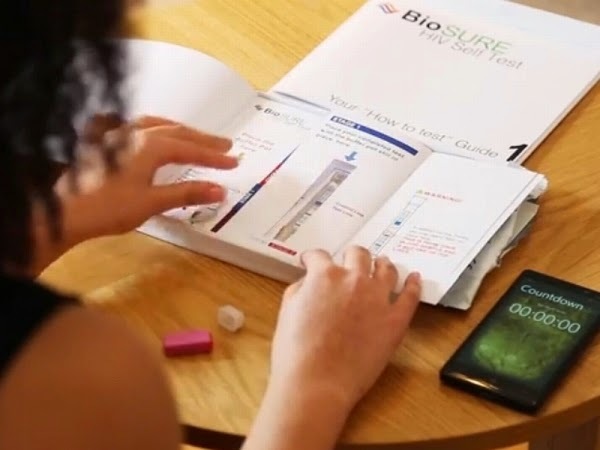 Test packs with the tag line "You can do it yourself" is made by the BioSure and can be purchased online. The way the device works the same as a pregnancy test, by measuring the levels of antibody-a protein made in reaction to the virus in a person's blood. These devices analyze tiny droplets of blood from a fingertip.